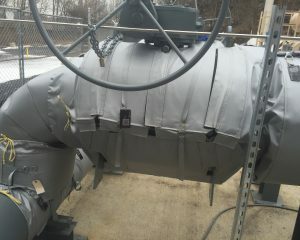 The premiere solution for heat exchanger insulation issues. The purpose of a heat exchanger is to properly transfer heat from one medium to another in a safe and efficient manner. Heat exchangers can perform heat transfer duties of considerable magnitude and significance. There are many different types of heat exchangers. Two common types of used by many Thermaxx clients are plate heat exchangers and shell and tube heat exchangers. Other types include phase-change, adiabatic wheel, spiral, regenerative, and fluid heat exchangers. Heat exchangers are at risk to such issues as corrosion, clogs, and leaks which reduce efficiency or put the heat exchanger at risk of malfunction. 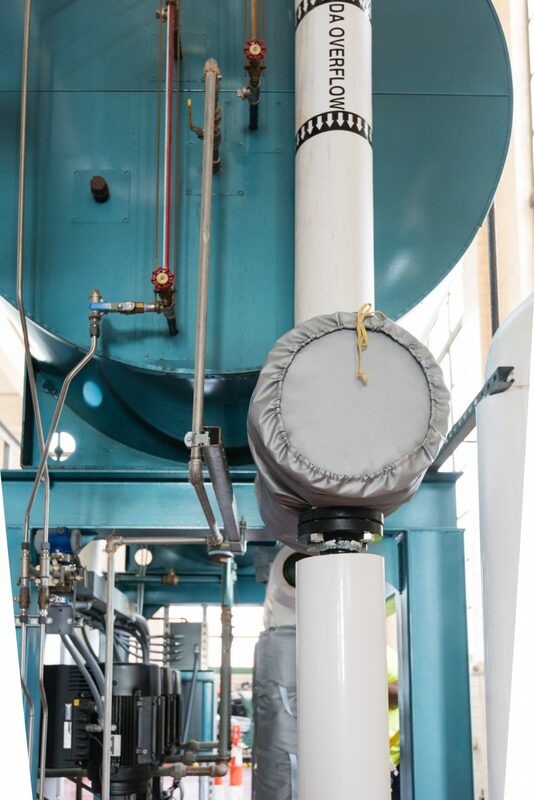 Fouling, which is deposits of impurities on the heat exchange surface, is another very common issue and is a frequent cause of under-performing heat exchangers. 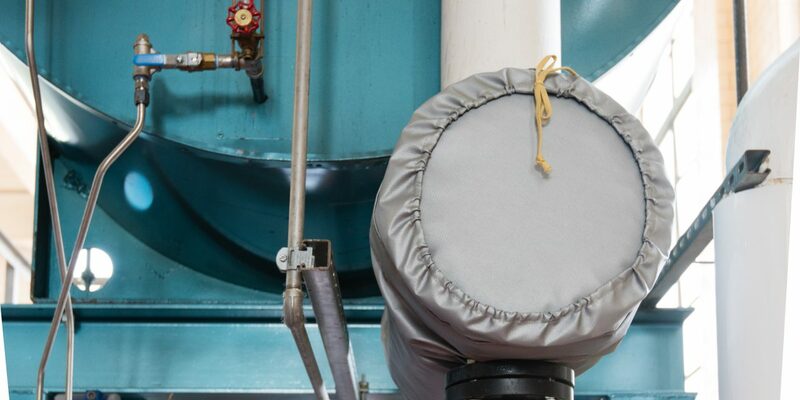 Because inspection and maintenance of heat exchangers is essential, thick stay-in-place insulation is not practical. 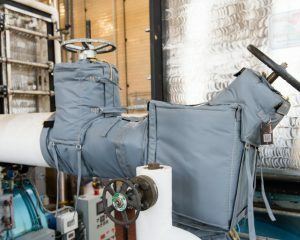 Often, even heat exchangers that generally have built-in insulation in the outer casing (such as plate heat exchanger insulation) do not perform their duty at optimal efficiency. If the heat exchanger experiences surface temperatures drastically different than the ambient temperature, valuable heat is likely radiating away. 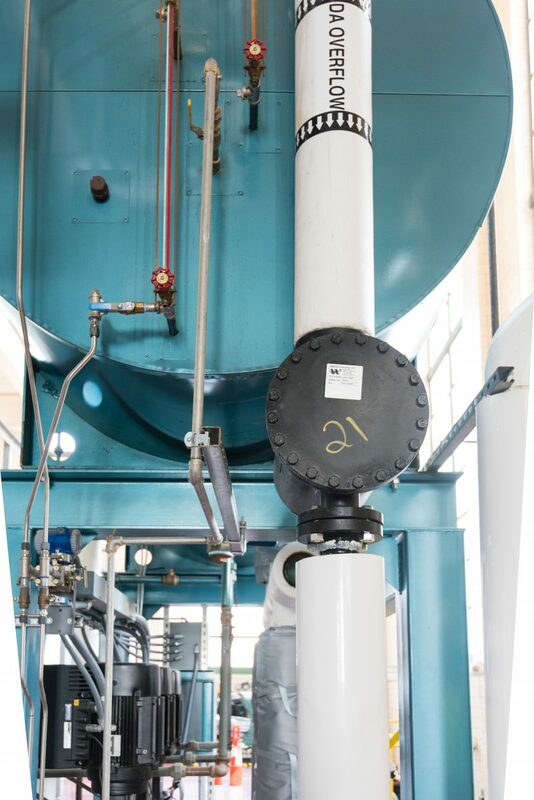 In the cases of larger heat exchangers or facilities with multiple units, the amount of energy loss can be substantial. Insulation coatings are a possible solution but have the downfall of requiring a significant amount of labor and time in application. Further, liquid insulation coatings may take days to dry and weeks to fully cure. The Right Fit: Thermaxx has a considerable history of expertise and success in insulating such varieties of heat exchangers as: plate and frame heat exchangers, shell and tube heat exchangers, heating bundle heads for tank water heaters and more. We have designs for specific models and can also handle almost any custom job. Better fit means better efficiency. 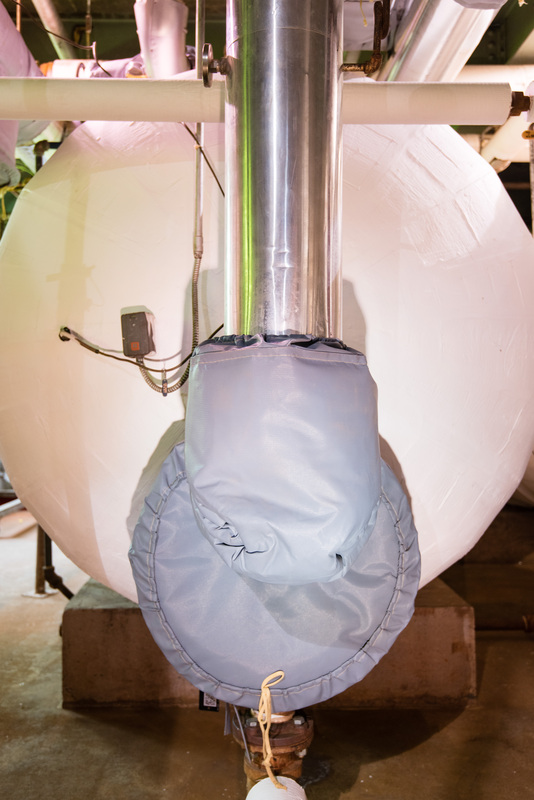 Convenient: Our insulation jackets will not inhibit function or maintenance of your heat exchangers. Each jacket has velcro an d-rings for easy maneuvering. Typically, Thermaxx Jackets can be removed and replaced in five minutes or less by any maintenance personnel. Cost effective: We offer heat exchanger blanketing insulation for a variety of temperature and application needs. Our insulation jackets can be purchased using standard 1”. 1.5”, or 2” thicknesses or custom thicknesses. Being able to buy exactly the jacket you need means you don’t have to pay for un-needed insulation. Materials: Made of silica Aerogel and reinforced with a non-woven, glass-fiber batting, the heat exchanger insulation material is hydrophobic and withstands very high heat. The jacketing is a PTFE composite with a maximum use temp of 550°F. 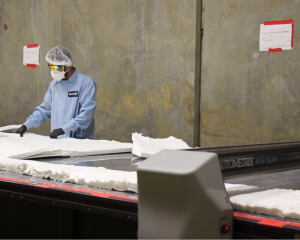 Guaranteed: We stand behind our insulation, because it is meticulously designed and crafted to remain effective under harsh conditions for a long time. 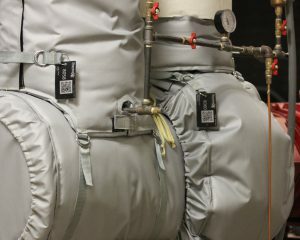 As with all Thermaxx Jackets, heat exchanger insulation covers are backed by an industry-leading 5 year guarantee. Got questions? 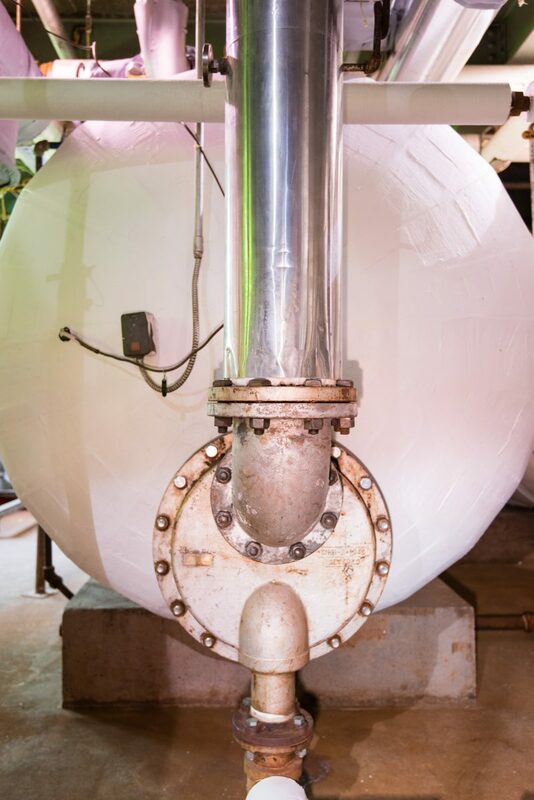 We’re happy to answer any questions you have about our heat exchanger insulation or any of our many other removable insulation solutions for your facility. Contact us or give us a call today at (203) 672-1021!